Welcome to our whitepaper section. We will continue to add valuable content over time and hope you find some of it helpful! This is a comprehensive overview of Infrastructure-as-a-Service for first-time buyers or those considering a change. 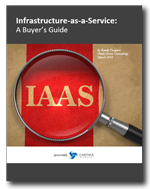 It deals with the evolution of IaaS and what to look out for when selecting a vendor. 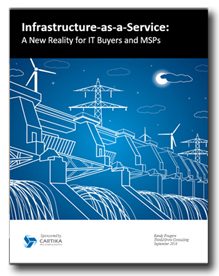 Infrastructure-as-a-Service has been commoditized into a basic IT Utility. This has implications for both the way we consume IaaS and public cloud, and for the MSPs as they play new roles in redefining the industry.